Mr. Koga gave a prepared speech. The title of the speech was "Matchmaking party." Ms. Sakagami evaluated the speech of Mr. Koga. Mr. Takeuchi evaluated the speech of Ms. Omiya. Mr. Takeda was General Evaluator. 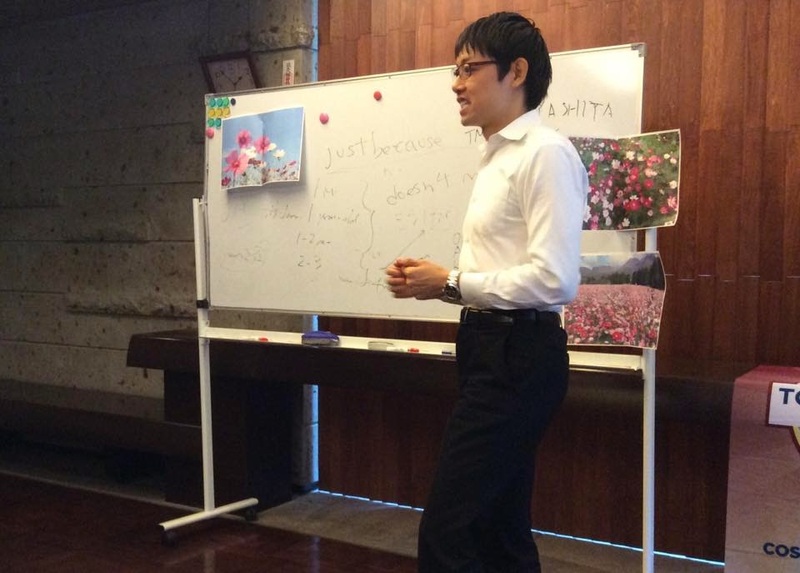 Mr. Sagawa conducted Table Topics Session.